Learn more about the labor market information data sources feeding the Economic & Workforce Development Center’s analyses. The New York Finger Lakes Region data is based on 10 counties: Genesee, Livingston, Monroe, Ontario, Orleans, Schuyler, Seneca, Wayne, Wyoming and Yates. In contrast, MCC Career Coach data – accessible from each Occupational Group Definition page – is based on a default 50-mile radius from Monroe County. It excludes Schuyler County but includes Allegany, Cayuga, Erie, Niagara, Oswego and Steuben Counties. The Western New York data is based on 5 counties: Allegany, Cattaraugus, Chautauqua, Erie and Niagara. “Wages” refer to the hourly earnings, excluding benefits, of a worker in an occupation. By default, we display the median, which is in the middle of the wage distribution for each occupation; half of the workers make more, half of them make less. Percentile wages can be accessed in the MCC Career Coach by clicking any of the adjacent links listed under the “Occupations” column. The “Totals” row contains the average for the median wage at each percentile level, which is used in the construction of the aggregate wage curve for the occupational group. Source: This data is fed from Analyst – EMSI’s proprietary labor market data system. This is EMSI’s estimate of labor market demand for an occupation that, when combined with related completions, gives a picture of the supply and demand for the occupation in the region. The estimated annual demand is essentially the projected employment change and turnover for an occupation in a given year. Source: This data is fed from Analyst – EMSI’s proprietary labor market data system, combined with occupation-specific percentages from the U.S. Bureau of Labor Statistics Employment Projections program. The number of people who earned either an associate’s degree or an academic certificate related to the specified occupational group during the year indicated. Completions used within this context represent the supply of newly certified workers by the regional education providers for an occupation and, when compared with estimated annual job openings, provide an estimate of the labor supply created within the year compared to the estimated labor demand for a given occupational group as defined for the region. MCC completions reflect direct program completions; all related program completions are used for other middle-skills education providers. Completion data is refreshed when new data becomes available. Source: Completions are derived from the Integrated Post-Secondary Education Data System (IPEDS). Sources: Completions are derived from he Integrated Post-Secondary Education Data System (IPEDS). Estimated annual demand data is fed from Analyst – EMSI’s proprietary labor market data system, combined with occupation-specific percentages from the U.S. Bureau of Labor Statistics Employment Projections program. Based on input provided by O*NET’s CIP-to-SOC crosswalk, program-related MCC faculty and regional industry partners. This is an aggregate curve of the weighted group averages for each hourly wage percentile level. All SOC listed at the eight-digit level are based on six-digit level data. Since this report was compiled using big data systems integrating over 90 (Traditional Labor Market Information by Analyst) and 27,000 (Real-Time Labor Market Information by Labor Insight/Jobs) data sources, some variance may exist when comparing reported figures to a single data point. Occupational groups and related completions are not mutually exclusive, since many programs train graduates for a variety of occupations and many skills are transferrable to additional occupations beyond the scope of this study. The real-time labor market information in this report is based on online job postings. Some fields are more prone to using traditional recruiting methods, in which case their demand for middle-skills workers will not be fully represented by this report. Top skills and top skill cluster data are derived from an occupational cluster jobs query in Burning Glass Labor/Insight based on the individually indicated time frame. This data will be refreshed as new data becomes available. 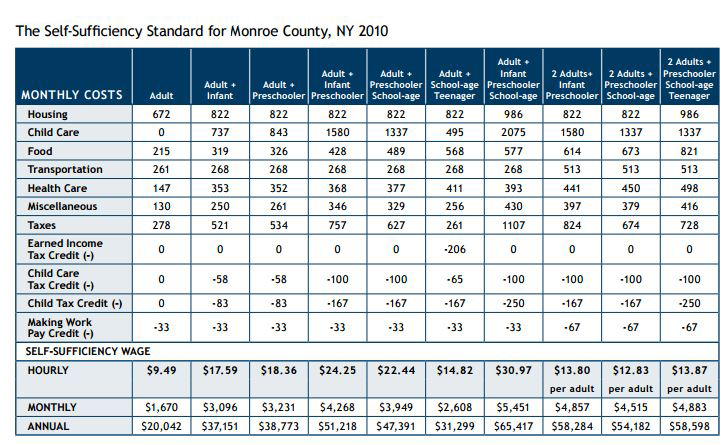 New York Finger Lakes Region income benchmark data is based on Monroe County, NY, and derived from data prepared by the New York Stat Self-Sufficiency Standard Steering Committee. 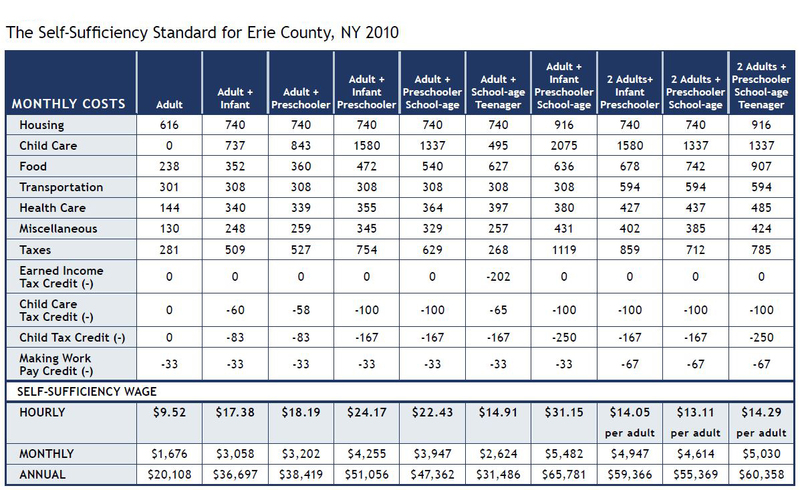 Western New York Region income benchmark data is based on Erie County, NY, and derived from data prepared by the New York Stat Self-Sufficiency Standard Steering Committee. New York Finger Lakes Region self-sufficiency data is based on Monroe County, NY, and derived from data prepared by the New York Stat Self-Sufficiency Standard Steering Committee. Western New York Region self-sufficiency data is based on Erie County, NY, and derived from data prepared by the New York Stat Self-Sufficiency Standard Steering Committee. 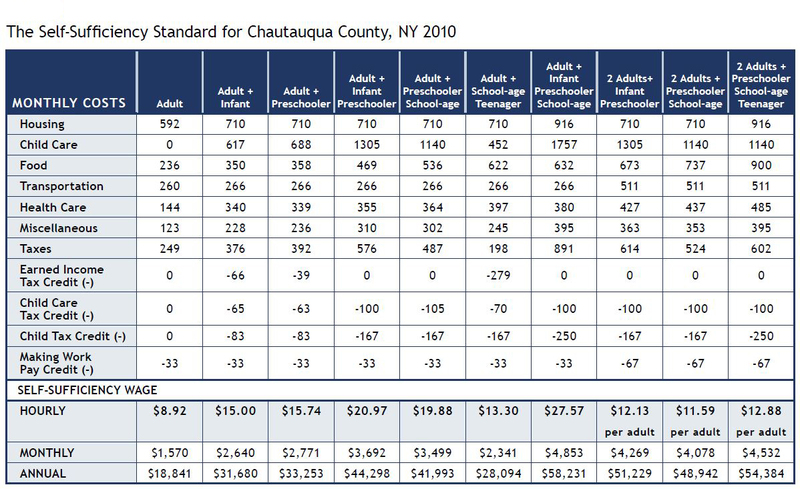 For your reference, self-sufficiency data is also provided for the following counties: Allegany County, NY; Cattaraugus County, NY; Chautaugua County, NY; and Niagara County, NY. Direct Effect. Income generated as MCC alumni employers purchase goods and services from other local companies. Indirect Effect. Income generated as companies within the supply chain of companies that employ MCC alumni purchase goods and services from yet another round of local companies. Induced Effect. Income generated as workers supported at all stages of the supply chain spend their money supporting other local businesses; this is also known as the household spending effect. Initial Effect. Income generated by wages paid to MCC alumni by employers. Multiplier Effect. Additional income created in the economy as MCC alumni employers spend money in the region. It consists of the income created by the supply chain of the industries initially affected by the spending of businesses (i.e., the direct effect), income created by the initial supply chain (i.e., the indirect effect), and the income created by the increased spending of the household sector (i.e., the induced effect). All economic impact data will be refreshed as new data becomes available.